The Citrus Burst rose is blooming profusely. And we had a brief moment of rain today. Not enough in our current drought, but we’ll take it. This is a climbing rose that I have in a tomato cage for support. 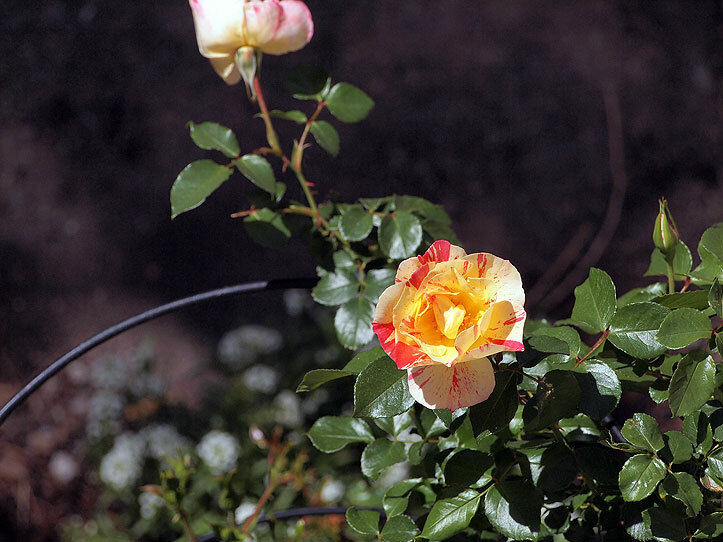 It’s a vigorous grower with dark green leaves and sort of striped pick and yellow flowers. It’s a repeat bloomer. So far it has required little maintenance.